We stand by our clients in their growth processes. measurable goals and decisions that build their reputation. To define the course and the good causes behind the organizations. The mass media are one of the main validators and multipliers of voices. Events turned into experiences, to transform the ads into precise milestones. We focus on preserving the integrity of our customers, from transparency. Reputation does not arise from mere presence. We plan, create content and interact. We launched Pope Francis’ prayer network’s official online platform. La Machi developed the idea, the design, the technological development, and the communication and press campaign, together with six launching events around the world: Vaticano, París, Buenos Aires, Fátima, New York and San Pablo. More than 300 assistants and more than 500 articles registered from global press. 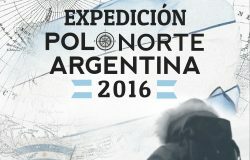 We accompany the first Argentine Expedition that carried the national flag where all roads lead to the south: the North Pole, to raise awareness towards climate change. La Machi was in charge of developing the communication and media positioning campaign. The expeditionaries were recognized by the President of the Argentine Republic Ing. Mauricio Macri and by Pope Francis. Each month we launch a global communication campaign that supports the broadcast of The Pope Video, a global initiative of the Apostleship of Prayer to assist in the dissemination of the Holy Father’s monthly prayer intentions related to the challenges facing humanity. More than 5.300 articles registered among printed media, TV, radio and online portals in 12 different languages in at least 68 countries from around the world.